What is Experiential Marketing and How Can You Make it Work for Your Business? Experiential marketing is a hot topic right now, but it’s certainly not a trend. An all-encompassing term used to describe marketing and advertising activations that focus on the consumer experience, experiential marketing aims to create an emotional connection between your audience and your brand through immersive events. With technological advancements that blend the physical and virtual worlds, the potential of experiential marketing is greater today than ever before. That is, if you know how to use it. With so many myths out there about the topic, many small businesses are too intimidated to go it alone. But don’t let the big brands scare you away from your next big win. Not all experiential marketing activations are multi-million dollar budget busters. In fact, the most impactful experiences focus on adding value for a targeted group of people instead of WOW-ing the world with a dazzling spectacle. We’re here to show you that any company–big or small–can pull off a memorable activation that gets results. With the right strategy and the right partner, you can build an experiential marketing event that accomplishes your goals and fits your budget. Using experiences and emotion to sell products is nothing new, in fact it’s probably been happening for centuries. “The Elevator Experiment” is an exceptional example of old school experiential marketing. At the World’s Fair in 1852, inventor and marketer Elisha Otis demonstrated his innovative new elevator by plunging from a depth of sixty feet on an open platform and then allowing his safety mechanism to stop his descent only moments before he hit the ground. At a time when elevators routinely snapped, this breathtaking demonstration left a strong imprint on the crowd — and made his brand a household name. Of course, modern experiential marketing is much more complex than Mr. Otis’s demonstration and doesn’t need to be death-defying, yet the idea remains the same: Make your audience feel something, and they’ll never forget your name. The advertising world of the 1970s saw a rise in experiential marketing when advertising agencies paired big brands with big events, a practice that is now so commonplace we take it for granted. Savvy 70s ad men and women knew that by linking their clients to larger-than-life experiences, they could forge a stronger, more permanent connection than any TV spot or magazine ad could. Surprisingly, it wasn’t until the early 2000’s that the Advertising Research Foundation defined engagement marketing as “turning on a prospect to a brand idea enhanced by the surrounding context.” This vague definition would eventually evolve into the popular movement we know today. The most recent spike in experiential marketing events is sometimes attributed to events like SXSW, multiple-day events in which brands compete to entertain and delight a large audience of potential customers. With activations like these becoming more and more commonplace, today’s businesses need to think of out-of-the-box ideas that draw people in and leave them wanting more. Since emotion builds memory and experiences drive purchases, it is essential to create events that make people feel something. Of course, that’s easier said than done. Modern marketers can make psychology their ally in the experiential cause. The Propinquity Effect is a complex psychological term that describes a simple truth: the more we interact with people, the more likely we are to befriend them. And the more amazing your event is, the more likely people are to react with you. Make sense so far? The first step in building an engaging experience is getting inside the mind of your target audience. It’s important to see beyond their age and income bracket in order to figure out what makes them tick. Put aside your audience data for a moment and put on your psychologist hat. Sit your imaginary customer down on the couch and ask them the tough questions. How does your product make them feel? Does is provide peace of mind? Excitement? Does it make them uneasy? Does it connect them to other people in any way? Does it change their behavior or help them solve a problem? Successful experiential marketers will take these answers and build an experience that highlights benefits and eases concerns. Here’s an example. 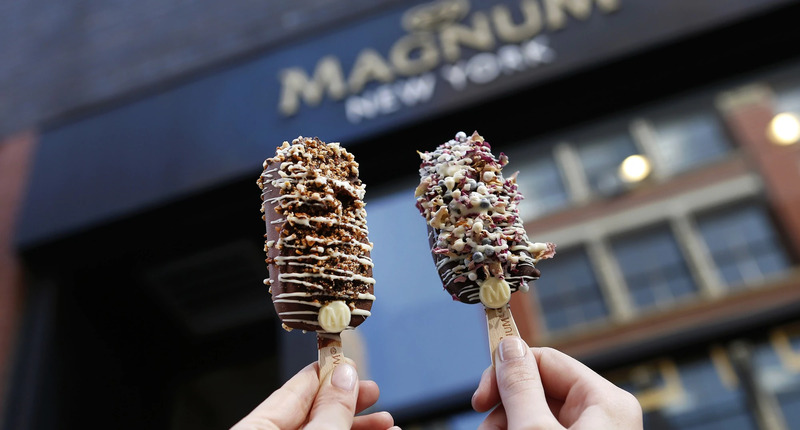 When Unilever’s premium ice-cream brand, Magnum, asked MC² to help them build a luxury ice cream pop-up on the streets of SoHo in Manhattan, we knew it had to be a decadent experience. But communicating indulgence to customers with high expectations takes more than just a taste test. Together, we built a retail adventure that awoke the senses with touch, sight, scent, and of course, taste. 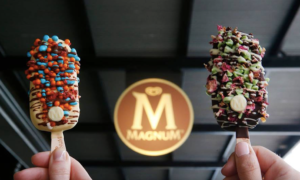 The high-end décor, exceptional service, and over-the-top treats helped Magnum’s guests associate their ice-cream bars with a thoroughly pleasurable and blissfully indulgent experience. By focusing on how your activations make people feel, marketers can design intelligent and impactful experiences that stir people’s emotions while accomplishing their brand goals at the same time. 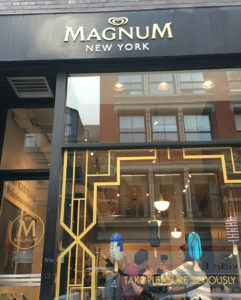 Even if you don’t have the budget to rent a storefront in SoHo, you can create an event that fully encompasses your product’s benefit in an emotional, experiential way. While digital marketing does a fantastic job of conveying brand messages and personal communication, experiential marketing fully immerses people in the brand. This enhances customer relationships and imprints a favorable—and long-lasting— memory of the brand or product. And memory sells. An interesting example here is how Facebook arranged an experiential event around unlocking its data for actionable insights and strategy that brought professionals together and helped them connect on a deeper level. Of course, social media hasn’t replaced experiential marketing, it has just made it better. Live events provide a valuable opportunity to form in-person connections in an increasingly digital world. In fact, experiences have replaced many other forms of advertising. When you have an amazing experience, the first thing you want to do is share it with the world. That’s why it’s essential to include a social or digital component in every live event. Experiences that utilize social media in a smart way can increase their reach exponentially. Snapchat, Facebook and Instagram Live each let you share your event with your audience. Additionally, when you make social media an integral piece of the marketing activation itself, people can’t help but share it. Here’s an example: Back when the iPhone 8s launched, Verizon Wireless partnered with Snapchat to create a scavenger hunt that used Augmented Reality to build a multi-city experience which took participants to different locations in search of a free phone. Each clue contained a benefit about the product. For example “Find this 8 on the beach named for a city on the other coast. It’s where our network is strong, no matter how much you post.” Cute, right? This groundbreaking experiential marketing activation was a great example of how modern technology can enhance real-life experiences. The results were well worth the investment with thousands of users playing along and sharing with friends, and an incredible amount of PR buzz. As consumers become immune to our tried-and-true social media maneuvers and marketing tactics, experiential marketing will continue to grow in popularity. Even though the ways in which we interact with our audiences are constantly evolving, connecting with people on an emotional level will never go out of style. Is Experiential Marketing Worth the Investment? Speaking of investments, you’re probably wondering if creating an expensive activation is really worth it in the long run. Is spending millions on a single day the best use of your advertising dollars? Unless you’re the CEO of Verizon, it might not be a good idea. So how do you create intelligent experiential activations that actually get results? The secret lies in avoiding the bells and whistles and focusing your attention on building experiences that accomplish something. Whether it’s demonstrating a product in a fun way or solving a problem –experiences that add value to a person’s day are a better investment than flashy one-off exhibits. In the article, “Brands, You’re Doing Experiential Marketing Wrong,” Ad Age cites an example of a successful activation that added value while creating a personalized experience for its attendees. “Another great example is Quiet Mornings, from media and lifestyle brand Flavorpill, which take over some of the world’s best contemporary museums like MOMA in New York City and MOCA in L.A., to run guided meditation sessions before the museum opens—giving busy urban-dwellers a chance to clear their heads, and experience the art before it gets busy.” Now juxtapose that with something like say, Snapple’s attempt to break a world record in front of a giant crowd by erecting a 25-foot popsicle in NYC’s Union Square (spoiler alert, it melted) and ask yourself which experience was a better use of resources. To sum it up, you need to push your ideas beyond what’s cool (pun intended) in order to create something memorable, meaningful, and impactful. In today’s over-saturated market, people are used to interacting with brands on a personal level. Even if a crowd of thousands witnessed Snapple’s world-record-breaking feat live and in person, what value was really added to their lives? Here are some quick tips to help you build an experiential marketing activation that gets results. Determine what it is you want to accomplish. Whether it’s 500 new social media followers in 10 days or $15,000 in sales in 10 minutes, outlining your goals will help you measure the success of your event. Don’t run with the first idea you have, and don’t assume that your idea is the best one out there. Your staff is your most important asset. So train them well and involve them in the brainstorming process (after all, that’s the fun part!). Bounce your ideas off of eachother and work with professionals who can help you refine and enhance your ideas while managing costs. Bookmark this article for later in order to remind yourself why experiential marketing works in the first place. It’s all about cultivating brand loyalty by building an emotional connection, and that doesn’t happen with just any old idea. As previously mentioned, social media should always be a part of your experiential marketing campaign. But don’t just throw a hashtag on it and expect the work to do itself. You have to have a well thought-out and intelligent plan that incorporates social media in a way that feels natural. When it comes to building an event that adds value and accomplishes your goals, it’s smart to work with a team of experts who really know their stuff. With a successful track record, proven dedication to innovation, a reputation for reliability, and a knowledgeable staff, MC² can help extend your brand into successful emotional experiences. Brand partners big and small work with us because we approach every event with fresh ideas, modern technology, and a marketing strategy tailored to your brand’s goals. For more information on how we use experiential marketing to enhance your live events, check out our portfolio or request a free consultation with our in-house experiential marketing experts. Working together, we can create experiences that deepen and enrich your relationship to your audience through unforgettable events built to tap into the unlimited power of human emotion. We received your request for “What is Experiential Marketing and How Can You Make it Work for Your Business?”.